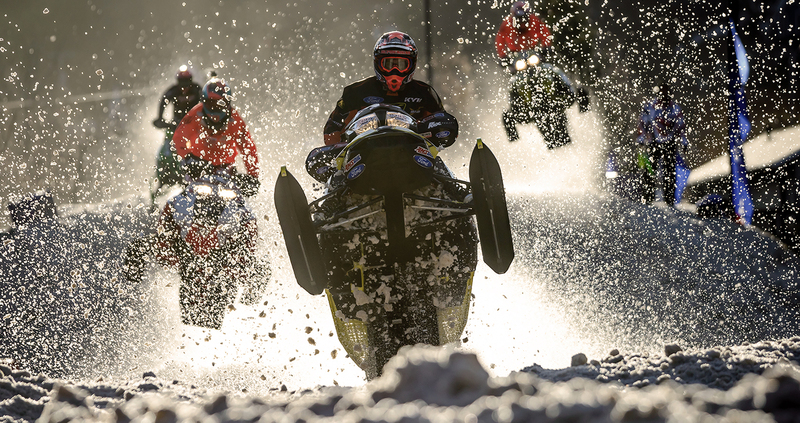 Snowmobile enthusiasts flock to Deadwood in January for the ISOC/AMSOIL Deadwood Snocross Showdown. The Deadwood race is unique to the pro snowmobiling circuit because it features a smaller track that requires a more technical approach. We sat down with one racer as he prepared for his first race in the Deadwood Snocross Pro division, Jake Angove. While Angove is no stranger to the Deadwood course, he had previously been racing in the Pro Lite division since 2015 and just signed with Judnick Motorsports Pro in August of 2017. How has the year been going for you? It started off okay at Duluth. I had a couple good races and then I had a couple bad weekends. It’s a huge change going from Pro Lite to Pro. It’s bigger than I expected and I had a lot to get used to. It’s getting better every weekend now. I think I’ve got things figured out. I think from here on out it’ll only get better. What’s the biggest challenge that you’ve had with the switch? It’s just a combination of everything. The guys are just faster and races are longer. The consistency is crazy. They don’t make mistakes so you have to ride perfectly every lap. How do you feel about racing in Deadwood? I like it. It’s always been good to me. The small tracks are always really exciting and they get really rough so it lets the good guys shine a little bit. What are you doing mentally to get yourself ready for these races? Every race weekend I try to not do anything stressful. The night before I hang out at the hotel room, relax, and do nothing crazy. Is there anything unique that you like about the (Deadwood) course, or that is making you nervous? Well it’s a small course, so it gets really tight especially on the starts. Everybody gets bottled up and guys go off the track a lot. It’s a small place so it’s hard to get it perfect. Everything is so tight so it makes things a little more exciting. Outside of racing, what are some things you’ve done around Deadwood over the times that you’ve been here? I’ve gone on some hikes up the mountains, we’vefound some places to go up. The restaurants are really good. I went for a run around town this morning, it’s a cool place.